Jackson was in attendance to receive the honor, along with fellow honoree Stevie Nicks and members of Roxy Music, Duran Duran and Def Leppard. LOS ANGELES - Don't expect a Janet Jackson performance at the Rock and Roll Hall of Fame induction ceremony tonight. While the 52-year-old singer is in attendance to receive the honor, along with fellow honoree Stevie Nicks and members of Roxy Music, Duran Duran and Def Leppard, a source tells Variety she declined to participate in a customary musical number because the event will be filmed for later broadcast on HBO, the cable network that aired "Surviving Neverland." Although Jackson has not released her own statement about the film, members of the Jackson family have been vocal with objections to the two-part documentary that alleged sexual abuse committed by Michael Jackson, Janet's older brother, against accusers Wade Robson and James Safechuck, who were children at the time. 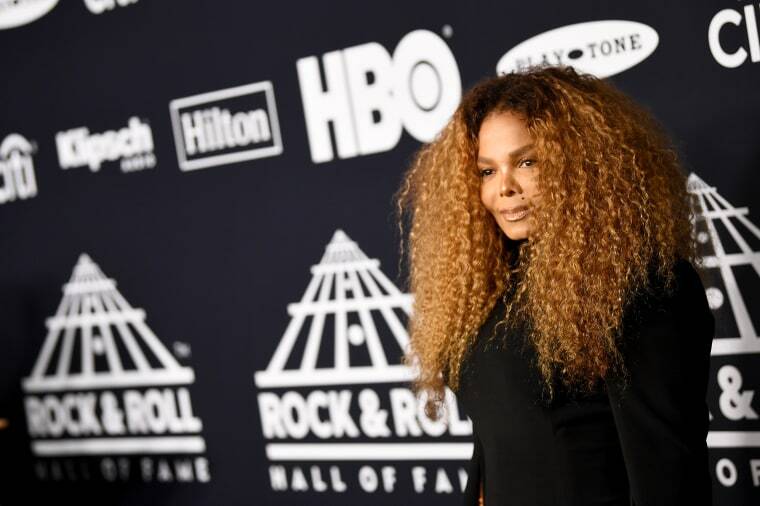 Variety has confirmed that a performance is not planned; Reps for Janet Jackson, HBO and the Rock Hall have not responded to requests for comment on any possible animus between the singer and the network. Jackson, who did walk the red carpet at the event and will be introduced by Janelle Monae, is not the only inductee declining to perform at the ceremony. Thom Yorke of Radiohead told Variety in January that the date conflicted with him planning to be in Paris for a dance performance set to his piano pieces in early April, adding that "we don't really understand it [the Hall of Fame], as English people. ... We don't really know what to make of it." But Jackson's non-performing appearance and Radiohead's MIA status still leave plenty of action on deck for the night's festivities at Brooklyn's Barclays Center. Brian May of Queen will induct Def Leppard before joining them in performance, while Duran Duran will introduce Roxy Music. Harry Styles has already taken the stage for (and with) Nicks, whose four-song set included the classics "Stand Back," "Leather and Lace," for which she was joined by the Eagles' Don Henley, "Stop Draggin' My Heart Around" (with Styles) and "Edge of Seventeen," which nodded to the late Prince with a "When Doves Cry" improvisation thrown in. Artists are eligible for the Rock and Roll Hall of Fame 25 years after the release of their first album or single.